The Gold’s Gym speed rope is great for cardiovascular exercises, improving an overall fitness and losing weight. This 8.5' (2.59m) lightning-fast PVC rope has graphite-coated speed washer connections for smooth skipping action and utilises small lightweight handles with an ergonomic design for balance and speed. 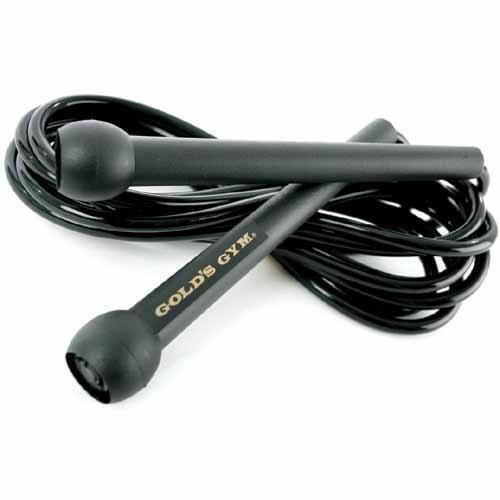 Additionally, it features the Gold's Gym logo on the handles and is supplied in a black colour. for submitting product review about Gold’s Gym Speed Rope.